In July 2017, representatives from Aeronautics Defense Systems — an Israeli company specializing in drones — allegedly arrived in Azerbaijan on a sales trip for the firm’s Orbiter 1K unmanned aerial vehicle. This particular drone, really a loitering smart bomb, is designed to fly above the battlefield before diving onto a ground target and exploding. Once in the country, the Azerbaijani military asked the representatives to test the drone on unsuspecting Armenian soldiers, according to a recent report by the Israeli newspaper Maariv. Azerbaijan and Armenia have engaged in a low-boil conflict over the Nagorno-Karabakh region for more than 30 years. Two Israeli drone operators reportedly refused, and after being threatened by the company’s senior representatives on the trip, those representatives took over and sent two explosive-laden Orbiter 1Ks on an attack mission. Luckily for the Armenians, the attack was unsuccesful, with the drones missing their target by around 330 feet. We know something happened. The Armenian Defense Ministry previously noted in statement that soldiers from the Artsakh Defense Army — the Armenian military force in Nagorno-Karabakh — came under attack on July 7 from Azerbaijani drones which failed to cause any damage. If Israeli arms merchants were involved, the incident would be an appalling ethical breach and possibly unlawful, as it would involve Israelis participating in a foreign conflict without approval from the government. Which means the “demonstration” did indeed occur, except no Israelis were at the controls. Or they were — and deliberately missed. 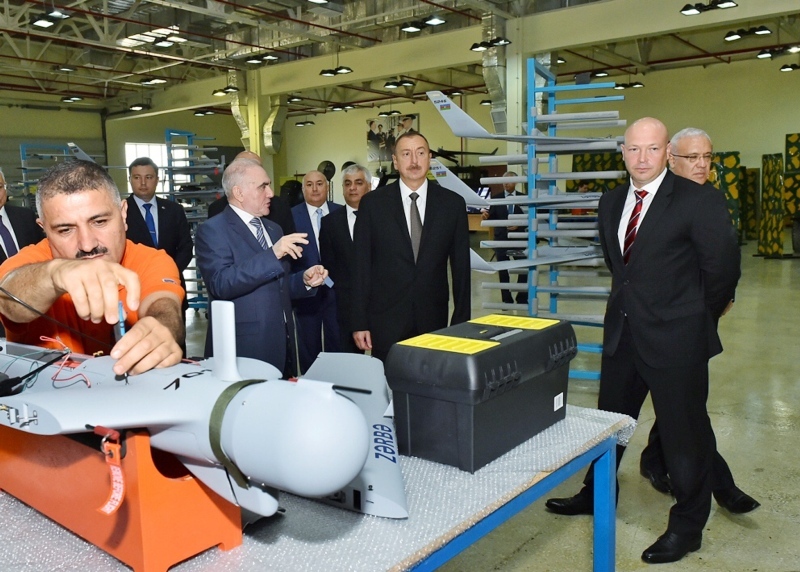 Azerbaijan does possess Israeli-manufactured “kamikaze” drones, part of $5 billion worth of Israeli military equipment acquired by the country’s military. A graphic example of these terrifying, loitering munitions dates to April 2016, when fighting in Nagorno-Karabakh flared into one of the most intense periods of hostilities in the region in years. A Harop drone supplied to the Azerbaijani military by Israel Aerospace Industries was caught on camera diving onto a bus transporting Armenian soldiers, seven of whom died in the attack. The warhead is capable of air bursts, time-delayed blasts or exploding upon impact. This is a lesser punch than the Harop, which has a 23-kilogram warhead, and the Orbiter 1K has a lower endurance — two to three hours as opposed to the Harop’s six — and can reach an altitude of 5,500 meters. That representatives from Aeronautics Defense System were in the country in 2017 for a potential sale is therefore curious, although the Armenian military blog Razm theorized that Azerbaijan may have run into troubles producing or testing the drones. What is clear is that Azerbaijan does possess — and has used — these loitering munitions, which are likely to become increasingly common above the world’s battlefields, and built by companies eager to sell them.